Sometimes you need a light in an area where no overhead lighting exists and you dont have a place for a table lamp. A cantilever floor lamp is a great solution. This modern design can fit in with most modern rustic homes. The Carrara white marble base anchors the lamp, and the chrome shaft arches over seating or dining areas and is softened with an ivory linen fabric shade. 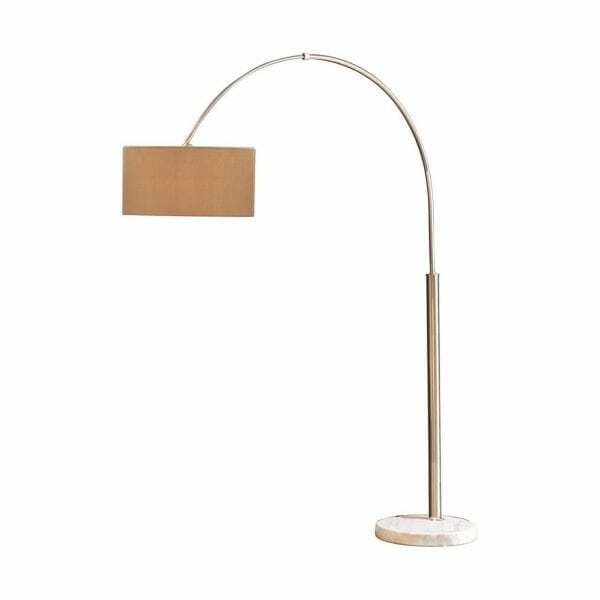 Lamp will be shipped in 2 cartons. 1 bulb is needed. Assembly required.